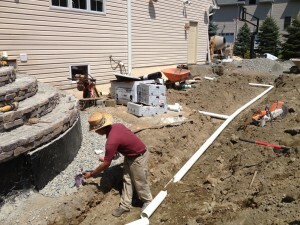 A Talented Drainage Installation Contractor in Morris County NJ | Fox Hollow Landscaping & Design, Inc.
Fox Hollow Landscaping and Design can solve all of your drainage problems. Whether you have standing water after a heavy rain, basement flooding or a small drainage problem, the smallest issue now can cause major problems later if it isn’t corrected. 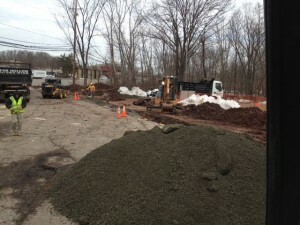 Let our experts tailor a drainage solution for your property that works.